Almost all of us now own a wireless Wi-Fi router and this is one of the most common devices that is used by everyone in the world yet we do not pay much heed on the quality and performance of the router we have. Instead we all most of the times complain about how slow the internet is and how weak are the signals. Well, have you ever even for a second thought about your Wi-Fi router? Maybe it’s high time that you should replace your old Wi-Fi router with a new one or maybe you should look into the major problem and fix it? The market out there is full of Wi-Fi routers and they all come in reasonable prices so yes, you won’t have to break a bank to buy a new one. However, the only thing that needs your focus is that you select a quality router this time and don’t get fooled by the poor quality one. Now, you might be wondering that how exactly can you identify the best wireless routers and what exact features do they have that make them exceptional? Well, if you want to know that then stick to this article a little longer because today we are going to tell you the three major tips for choosing the best router for your home Wi-Fi. The number one thing that you have to look in the Wi-Fi router is that it comes with 802.11ac or a Gigabit Wi-Fi support. Know that this is a must to note factor if you genuinely want to buy a good and quality router for your home. The thing about these routers is that they offer almost 1300Mbps of throughput and this is basically double the throughput that the 802.11n Wi-Fi offers, so yes this can be a plus point for you and you might end up having more internet speed than ever. The best part about these routers is that they are compatible with even the older devices so make sure your number one priority is the 802.11ac router. Wi-Fi routers and their quality can never be judged completely because even a top rated router will have varying results and that surely can be a problem for you. So, always go for the retailer who allows you to return the router if it isn’t working well for you. Like you surely can go through all the online reviews about a specific Wi-Fi router but sadly those reviews are no guarantee of good speed, good connection and good quality which is why you need some good retailer who can allow you to at least swap your not so good router with another one. Placement matters way more than you can ever imagine. 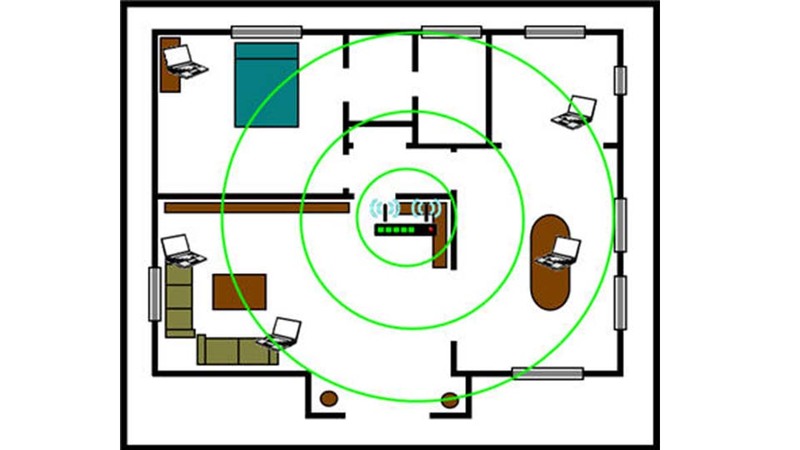 You see if you have a single room then obviously you can put the router anywhere you want to but if you’ve got a big house then yes, you need to figure out a mid point where you can easily put your router and everyone can use it without any speed or connection issues. So, once you buy a good router, you then have to test the placements and check which one suits you all the best. These are a few tips that you all need to consider when you buy a Wi-Fi router for your home. Follow the above mentioned tips and we assure you that you won’t be disappointed with your router. Cybersecurity: Can we really be Safe? How SSN can be used for Identity Thefts?